NEW YORK — The American heroes of the space race are well-known: Alan Shepard, John Glenn, Neil Armstrong and more. But less well-known are a second set of heroes that are only now getting their due: the wives. A new book based on interviews with dozens of the wives of NASA's Mercury, Gemini and Apollo astronauts finally tells the story of the home front that made the moon missions possible. Lily Koppel, author of "The Astronaut Wives Club" (Grand Central Publishing, June 2013), spoke June 17 here at the Forbes Galleries. The space race was taxing not just on the men who flew in America's spaceships in the 1960s and '70s, but also on their whole families. 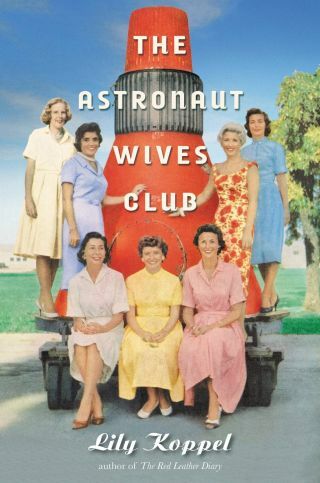 And astronauts' wives were under pressure from NASA, their husbands and themselves to project an outward image of family perfection while dealing with fear for their spouses' safety and the challenges of maintaining a home and children with almost no help. "There were fears that they couldn't express to their husbands or their friends," Koppel said, which weighed heavily on some of the women. Husbands and wives were often separated for long periods, and there was a culture among the astronauts that encouraged dalliances on the side while training hundreds of miles from home. Perhaps unsurprisingly, the majority of these marriages didn't last much beyond the glory of the space race era. Yet at the time, the life of an astronaut wife sometimes rivaled the exhilaration of flying to space. "Everything was moving so fast and everyone was trying to get to the moon, and the wives were sort of in it as much as their husbands," Koppel told SPACE.com. And there were certainly perks to make up for the sacrifices, such as receiving the celebrity treatment on worldwide tours and meeting heads of state when their husbands returned from a mission. "The real goodie for the wives was going to the White House and meeting Jackie [Kennedy]," Koppel said. The astronaut families were also watched by the press and the public in a way none had been prepared for. "They were like America's first reality stars," Koppel said. "They all felt young and inexperienced, thrown into this role." Ultimately, it's a fascinating story that took surprisingly long to be told. And despite the hardships, the sacrifices and the sometimes sad outcomes, there are few regrets. "I haven't heard one person say they would do it another way," Koppel said.